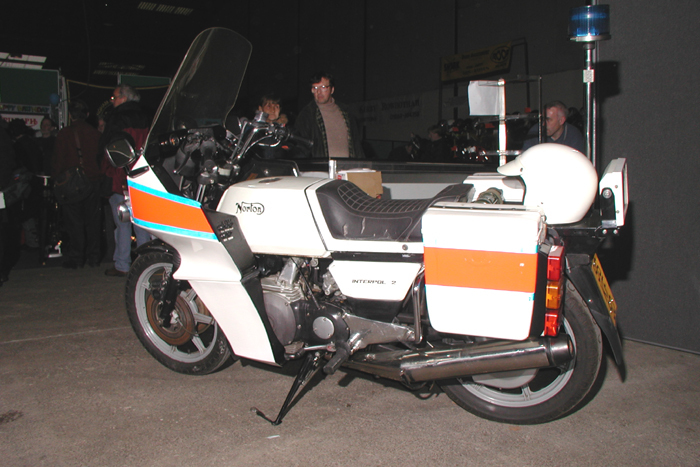 The first Norton rotaries (P41), air-cooled machines, were made available to UK police forces from 1981 although it was in pre-production form for the first couple of years while various bugs such as poor tickover, overheating and blowing rotor seals were sorted out. 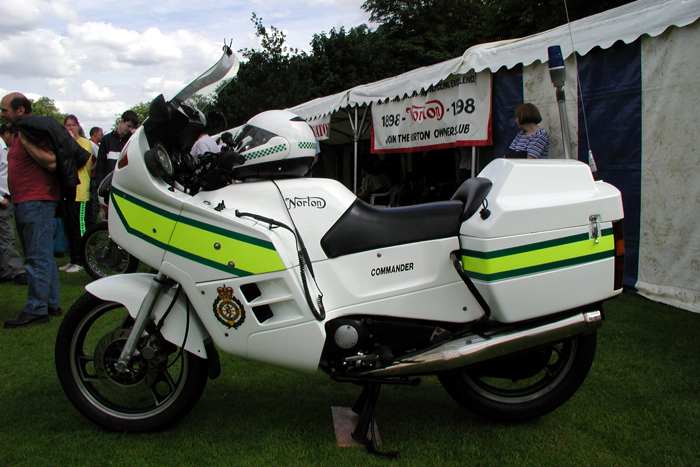 Around 30 police forces bought just under 200 machines, the RAC took some and the Ministry of Defence a further 150. The total production run was 350, another source says 380, machines. 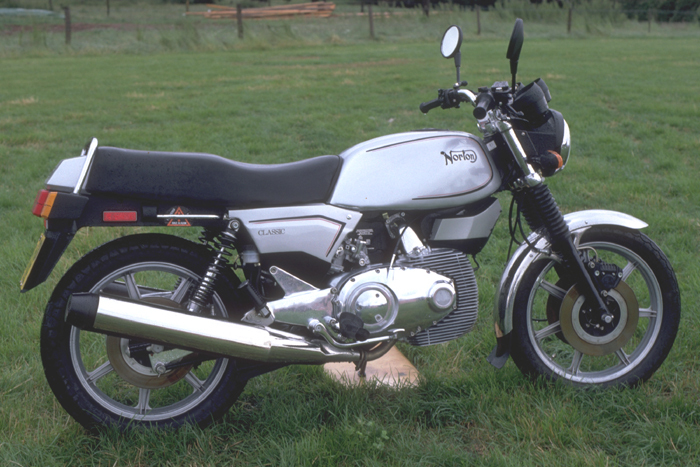 Just 100 (other sources say 101 or 105) of the air-cooled Classic (P43) rotary machines were put on sale in 1987 following a change of ownership of Norton motors. The theory of the rotary engine was originated many years before by Dr. Felix Wankel. 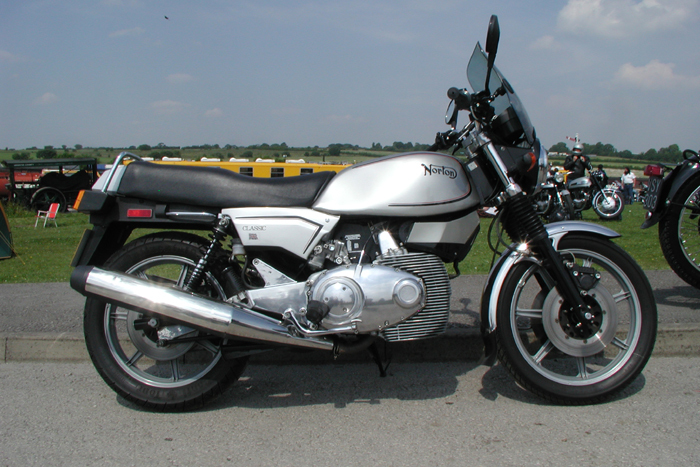 NSU in Germany acquired the patents for motorcycle applications and licensed BSA in England, but upon their demise the project passed over to Norton. 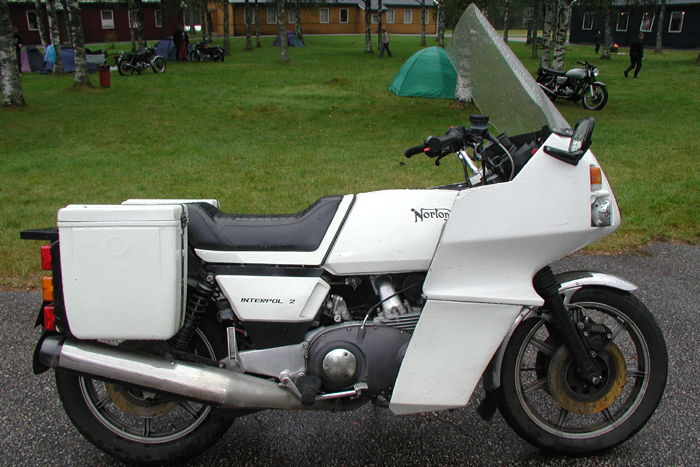 After many years of development, Interpol specification machines were sold to police forces and the armed services from 1983. 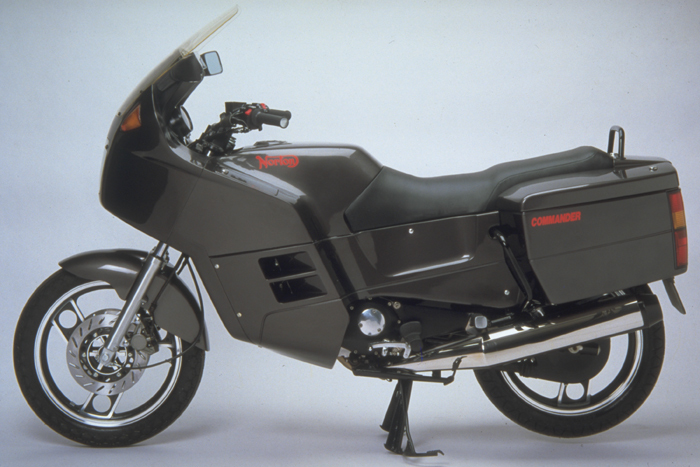 The Commander was firstly seen in its police version (P52) [more on the P52], then as the civilian version (P53) [more on the P53], the water-cooled successor to the Classic. 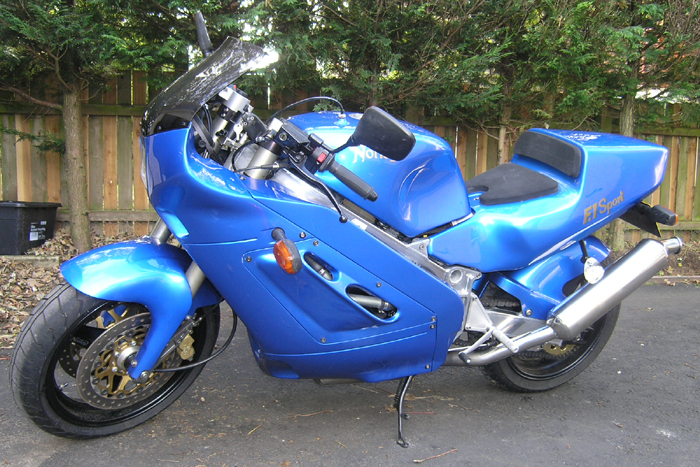 It features a full fairing which completely hides the engine, with Yamaha front forks and brakes also fitted. 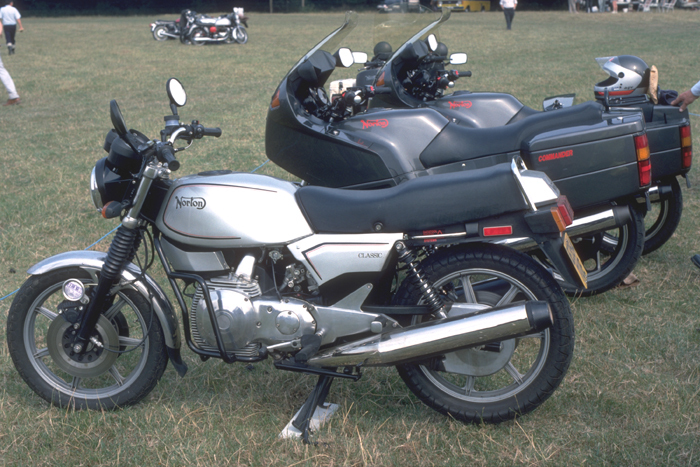 There were just 239 of the earlier civilian type produced. The engine is mounted the other way round to the previous rotary models and so rotates in the opposite direction. 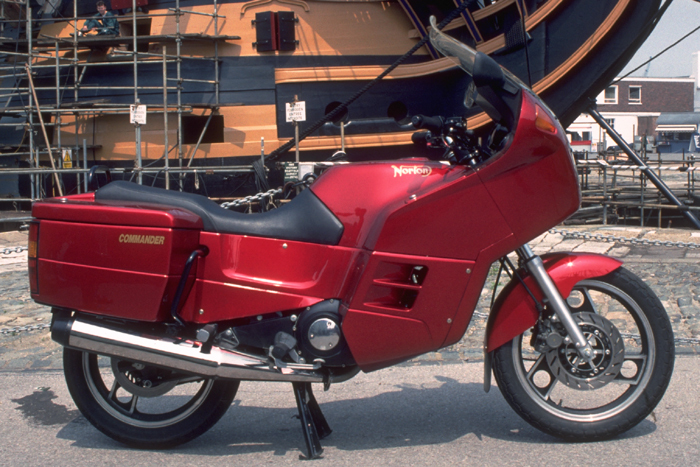 The 1992 version had more practical detachable panniers by Krauser and it is reckoned that there were only 61 of these. 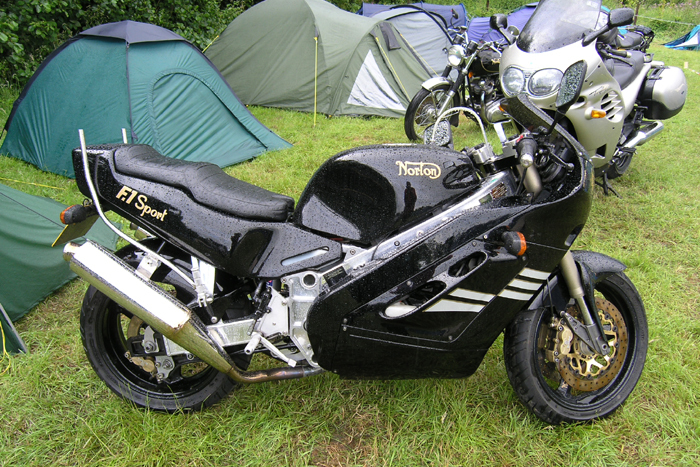 The F1 (P55) was a super sports development, being a road going version of the successful RCW 588 racing machine with many of its components race developed in the finest Norton tradition. Only ca. 140 were ever made. With some 95 b.h.p. 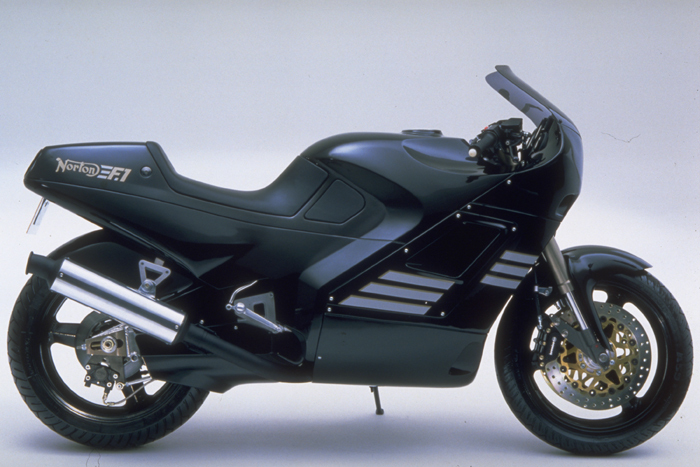 on tap, combined with light weight, performance is well into the super sports class. The upside down forks feature adjustable damping, while the brakes are twin 320mm Brembo at the front and single 230mm at the rear. 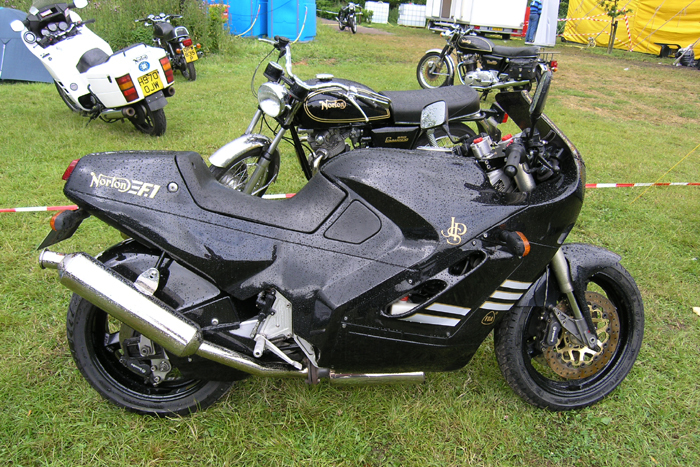 The frame is an aluminium alloy twin spar, combining strength with low weight. 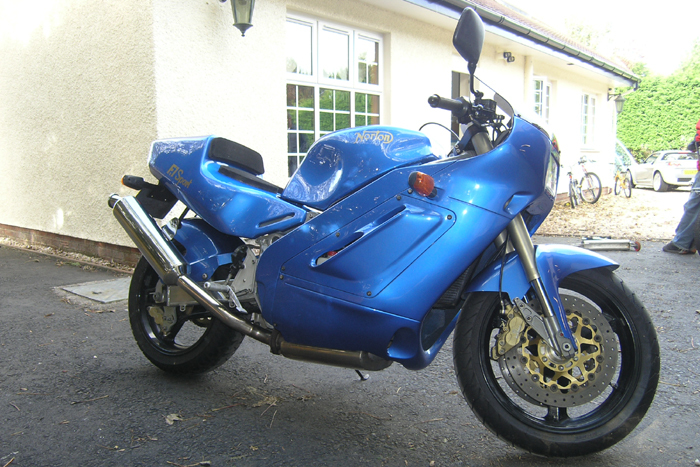 The clutch is hydraulic and the Yamaha FZR1000 gearbox 5 speeds, constant mesh. 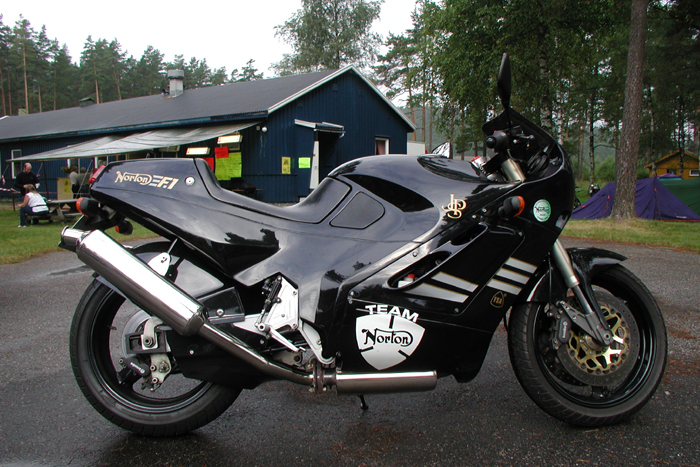 Stainless steel is used for the exhaust system. The engine is mounted the other way round to the previous rotary models and so rotates in the opposite direction.